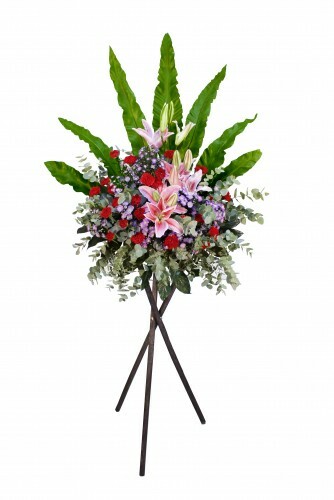 Opening Flower Basket Stand 06－This quaint colorful display of flower basket stand 06 of flower uses many pink and pastel color flowers with greens. 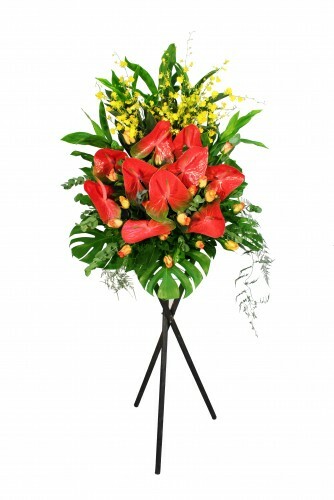 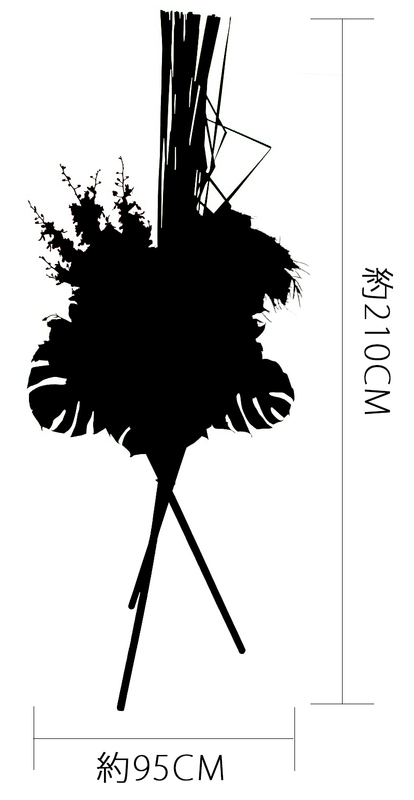 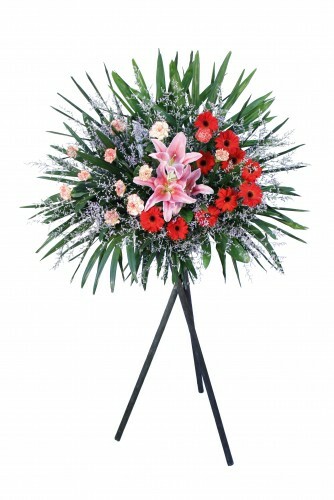 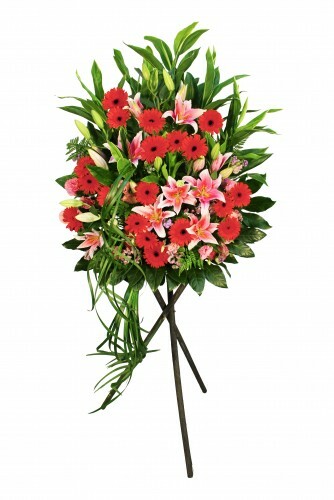 Our florist specially arrange a elegant shape that used by greenery in order to make it very refined. 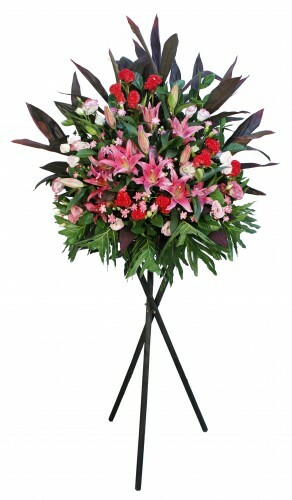 The chief flower of this flower stand is Pink Hydrangea,Pink Rose with matching flowers and greens. 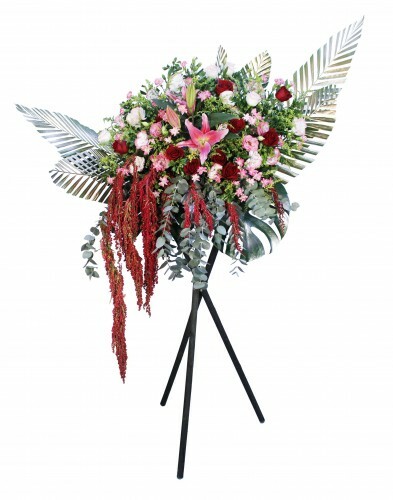 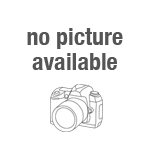 Description: Opening Flower Basket Stand 06－This quaint colorful display of flower basket stand 06 of flower uses many pink and pastel color flowers with greens.